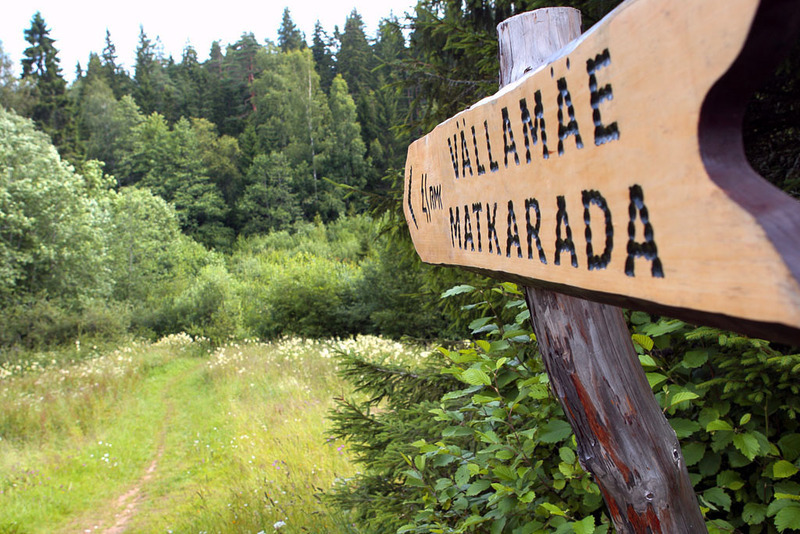 This 2.2 km hiking trail is extremely varied, taking the hikers past the edge of the bog with the deepest peat layer in Estonia, ascending to the top of the Vällamägi hill and then descending again. The 120-year-old spruce forests on the steep slopes are especially glorious. The relative height of the Vällamägi hill is 84 m from foot to top – which is more than the 60 m of the Suur Munamägi hill. The slopes of the Vällamägi are very steep, in places the angle is 35-40 degrees. On the slope of the Vällamägi hill stands the rental hut, which is managed by RMK and can be used for a modest fee. Ancient Estonians regarded the hill a mystic and sacred place. They believed that a witch or a spirit lived on the hill, guarding the forest and punishing those who cut trees carelessly. 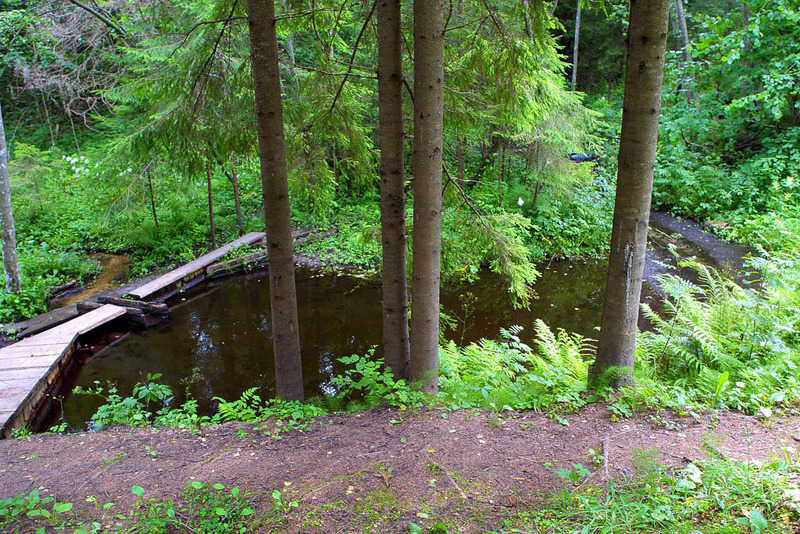 The spring of Vällamägi is a naturally interesting place, it is believed even to have an underground connection with the sea. Parking facilities Gravel parking area for max 2 buses and 6 cars. Amenities Along the hiking trail there are 12 information boards introducing the trail. There are benches, boardwalks, footbridges, climbing rope to assist ascending the hill. Sights Natural forest and commercial forest, bog, legends of the Vällämägi hill. Restrictions The hiking trail is situated in Haanja Nature Park, about restrictions please read here. Further information can be obtained from the Environmental Board (+372 786 8360, info@keskkonnaamet.ee). Files The trail brochure was published by Environmental Board in 2012. Download PDF. Location On the Vällamägi hill, Rõuge municipality, Võru County. Object no 4 on the nature park map. 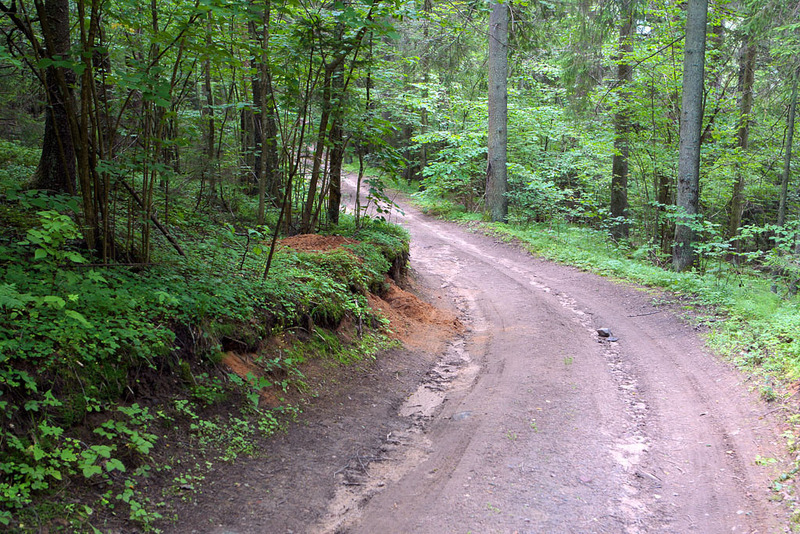 Driving directions Drive 11 km along Võru–Haanja road and turn left (follow the sign of the hiking trail by the road). Go 100 m along the forest road and turn left into the parking area. 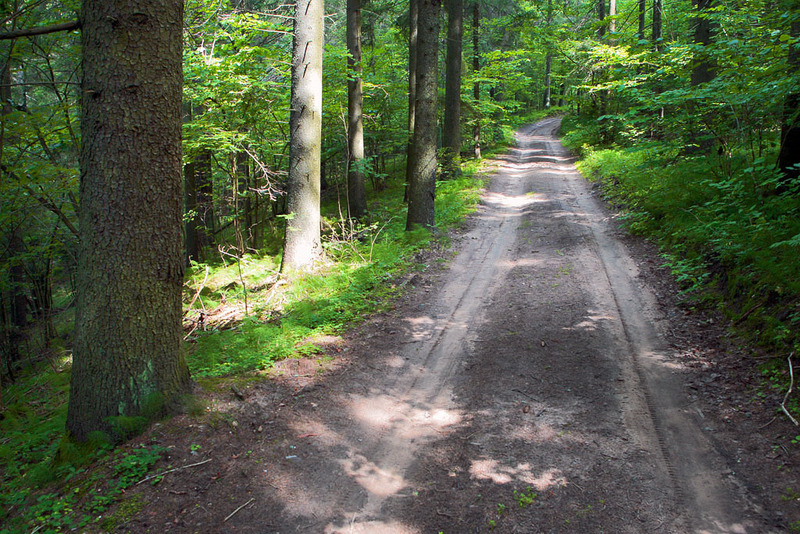 The hiking trail starts at the parking area. 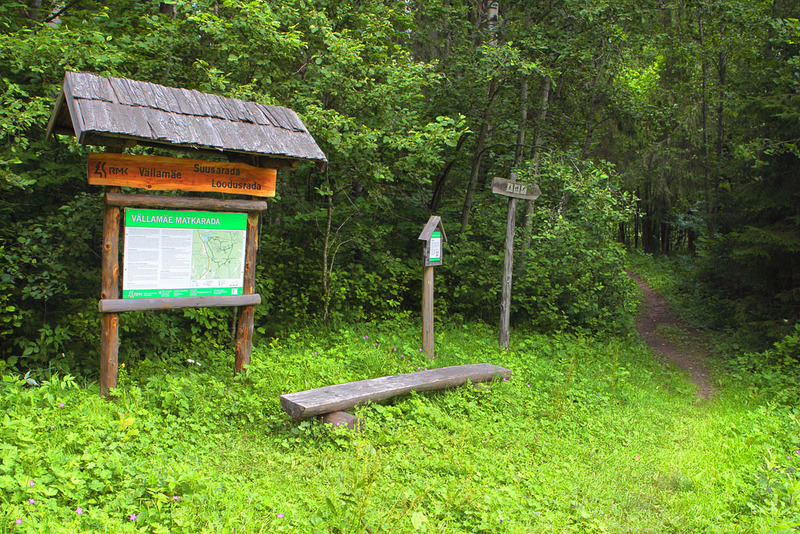 There are signs directing to the hiking trail and a map of the trail at the parking area.